Teen bathroom decor ideas that are like, totally cool! Fun Teen Bathroom Decor Ideas! If you have a teenager and he or she has their own bathroom, chances are they love to make it look ‘cool’! 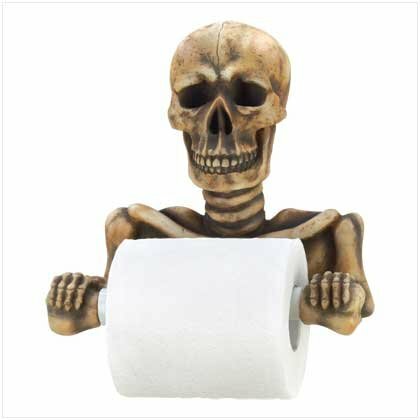 Here you are going to find some pretty cool and fun teen bathroom decor ideas, such as this cool skeleton toilet paper holder, some cool shower curtains, cool bathroom rugs, fun wall decals and the such. Look at this goofy bulldog! How cute is that? A playful bulldog begging for some attention! Perfect for dog loving teens and tweens! 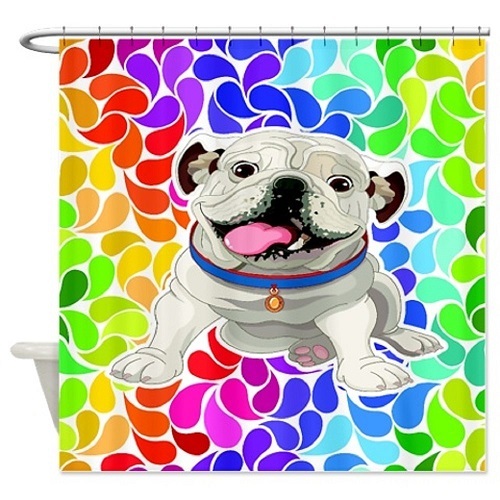 Gives any bathroom a touch of color and happiness, don’t you think? How can you not smile when you look at this loyal pup? 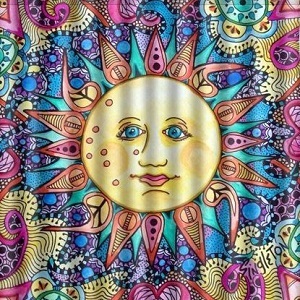 Have a cheerful start to your day, every day! 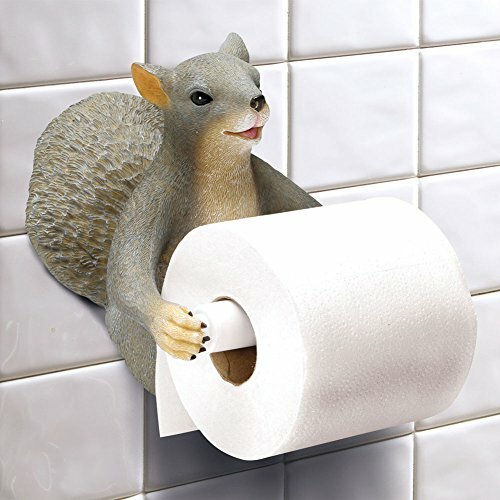 If you are looking for something fun and cute for your teen daughter’s bathroom, how about this adorable squirrel toilet paper holder? Oh, to be a glam girl! 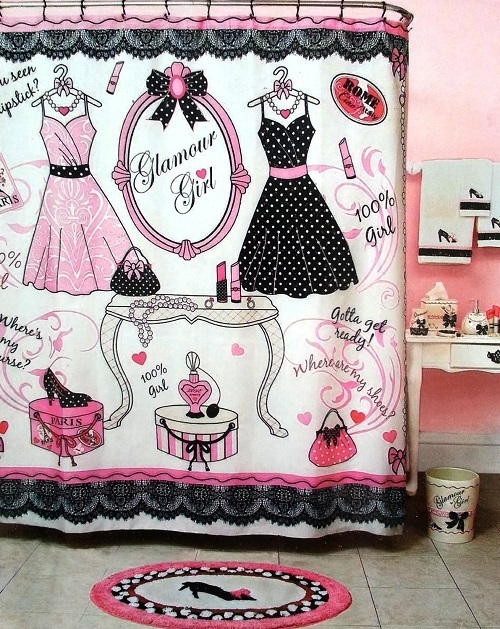 This gorgeous set will furnish the entire bathroom with coordinating fashion-themed accessories. Is your daughter a “fashionista”? Does she love everything fashion? Dresses, handbag and shoes? How about shopping? Well, if so, then this black, white and pink collection is perfect for your classy teen! 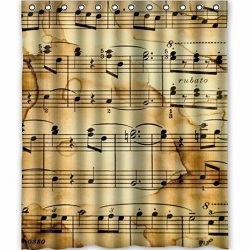 Includes shower curtain with hooks, bath rug, bath towel, hand and fingertips towels, lotion dispenser, tumbler, soap dish and toothbrush holder. 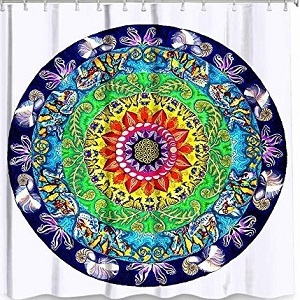 Perfect Shower Curtain for a Teen’s Bathroom! 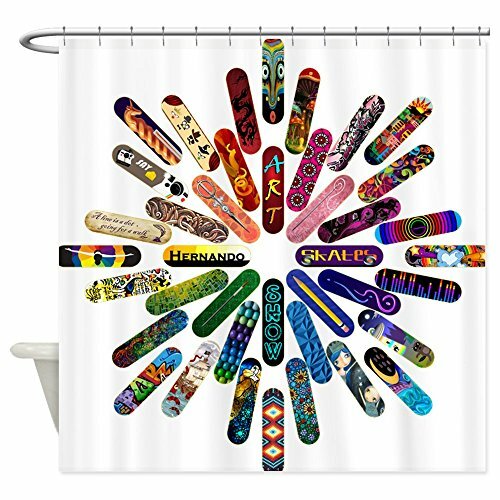 If you are looking for a fun, cool and unique shower curtain for your teenage son or daughter’s bathroom, look no further! 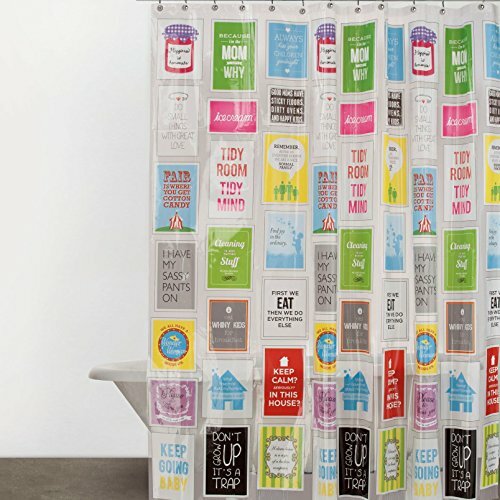 It’s a very cool and playful Family Rules eco-friendly Peva shower curtain full of fun quotes and sayings! I bet this is what YOU were doing just now! 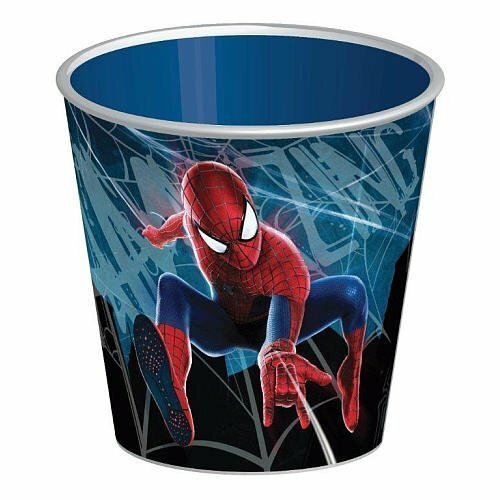 Spiderman wastebasket for a superhero’s bathroom! Straight from the comic books, bring this iconic super-hero to your teen’s bathroom! Lightweight plastic, in Spiderman’s classic blue and red colors. As a SpiderMan fan, your teenage child knows that “with great power there must also come great responsibility”. A hint to the great responsibility of curbing bathroom messes by properly disposing of trash where it belongs, in the wastebasket! 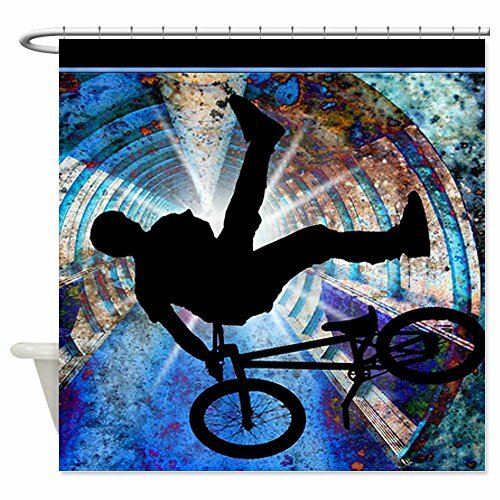 Cool Shower Curtain for Teen Boys! All your teen girl talks about is flips and ollies? Your teen boy spends more time at the skate park than at home? Your teenage child will be stoked to come home and find this nifty piece of bathroom decor in his or her bathroom! It’s skateboards galore, each decorated with colorful skateboarding art and grafitti. I love the neat circular shape created with the boards! 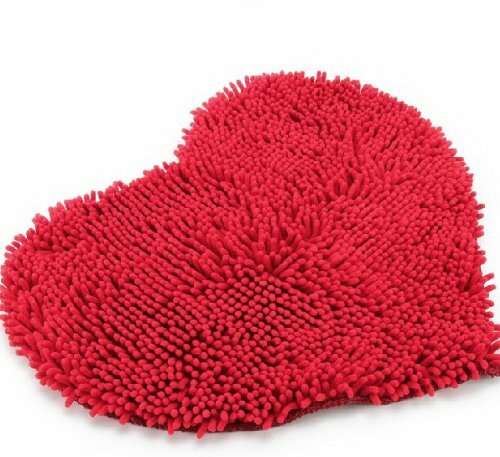 Cute Red Heart Shape Love Bathroom Rug for Teen Girls! This is my favorite bathroom decor idea for a teenage girl’s bathroom! It’s a cute red heart shaped bathroom rug! It’s also very cheap, soft and fluffy! Looks awesome in the dark! 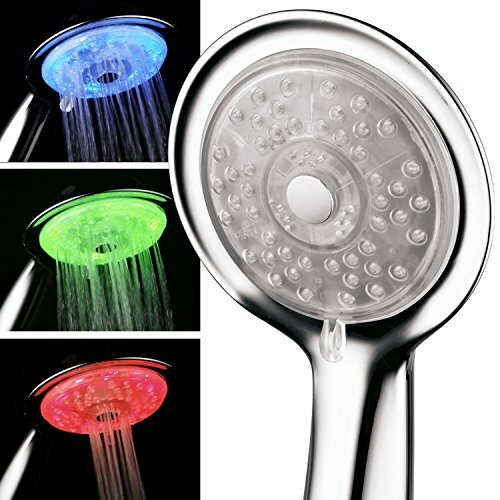 Shower under a luminous rainbow! The LEDs are powered by the running water! You don’t even need batteries! A stunning effect is achieved as the water runs and the colors change. There are 7 colors in total. Turn off the lights and it looks like you’re being bathed in colored water! Four relaxing modes: massage, rain, massage/rain mix and an economy setting that may come in handy for teens that tend to spend over half-an-hour in the shower. Regardless of the mode, it’s a colorful shower! I am showing you these because that’s what my own teenage daughter bought for her bathroom walls a couple of months ago. They are going to get 23 cool peel and stick (very easy to apply!) 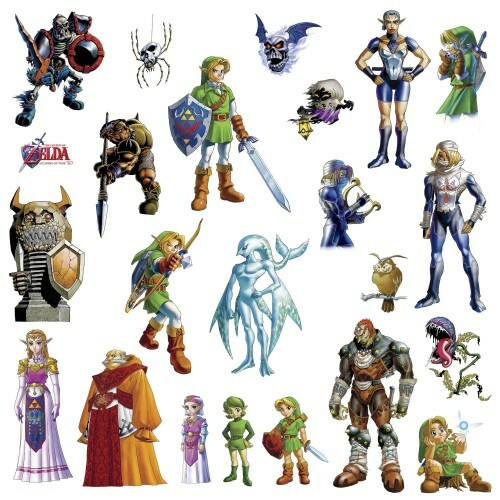 Zelda characters wall stickers! My daughter put them all over her bathroom and apparently it’s a hit among her friends! Great teen bathroom decor piece for Big Bang Theory fans! Sheldon’s Rubik Cube tissue holder! 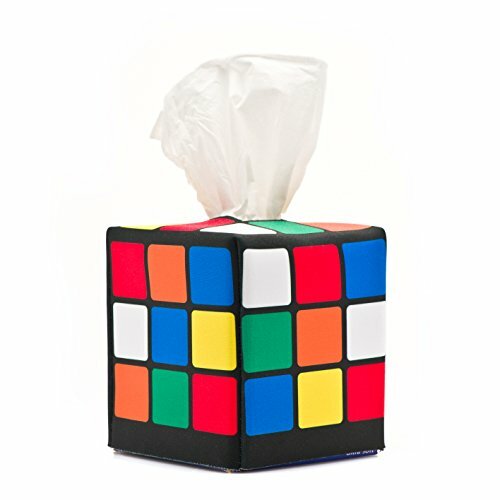 Super colorful – unsolved – Rubik’s Cube tissue holder, for the geek in the family, the Big Bang Theory fan (Season 5, Episode 6 when Sheldon’s mother comes over?) or just anyone that loves the iconic cube that’s been boggling minds since 1980! Always a good idea to have tissues nearby, anywhere, and especially in the bathroom. 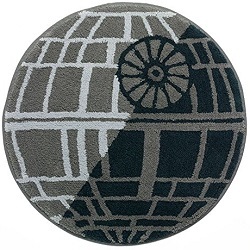 This goes perfectly on the sink top or toilet tank lid. Wanna walk down memory lane? Here’s a snipped from that episode where you can see the infamous tissue box!